A black Pope in the offing? Two Africans are among the early contenders to succeed Pope Benedict XVI, reflecting the dramatic shift of the Roman Catholic Church towards the developing world. Cardinal Peter Turkson of Ghana and Cardinal Francis Arinze of Nigeria could become the first black pope, certainly in the modern era. With a Canadian, a Honduran and other Latin Americans among the unofficial front-runners, the Roman Catholic Church could well elect its first non-European since the Great Schism with the Eastern church in the 11th century. Given the highly secretive nature of the conclave of the College of Cardinals that chooses popes, predicting the decision is an uncertain business. Pope John Paul II emerged late in the process and went on to have a major impact. Many Vatican watchers failed to pick Cardinal Joseph Ratzinger last time round. Two senior Vatican officials have recently dropped surprisingly clear hints that the next pope could well be from Latin America. Cardinal Kurt Koch, head of the Vatican department for Christian unity, said the Church’s future was not in Europe. “I know a lot of bishops and cardinals from Latin America who could take responsibility for the universal Church,” said Archbishop Gerhard Mueller, who holds the Pope’s former post as head of the Congregation for the Doctrine of the Faith. 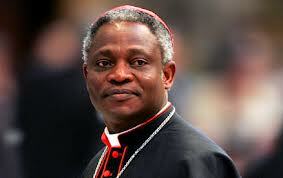 Cardinal Turkson, who is president of the Pontifical Council for Justice and Peace is a front-runner. He is regarded as a very able communicator, and given that Pope Benedict’s age was the key factor in his decision to retire, Cardinal Turkson’s relative young age of 64 could count in his favour. Given the abruptness of the Pope’s departure, the 80-year-old Cardinal Arinze might seem a safer bet. His name was mentioned in 2005 when the current pope was elected. Both Africans are sufficiently orthodox to please conservatives, while their developing world background will please many liberals. Among other candidates, the selection of Cardinal Marc Ouellet of Quebec would also end 2,000 years of European or Mediterranean rule. As prefect of the Congregation for Bishops, he has vetted and selected bishops all over the world. Multilingual and with years of missionary work in South America, he would tick the “global church” box without unnerving European cardinals alarmed that the election of an African would shift the Church’s centre. About half the cardinals who can vote are from Europe, even though only a quarter of the world’s 1.2 billion Catholics live there. If the College of Cardinals plays it safe, Cardinal Angelo Scola of Milan would be in pole position. His theological background lies in the family issues that the Church in Europe increasingly feels must be addressed. If it is Latin America’s turn, the leading candidates are Leonardo Sandri, the Argentine head of the Vatican department for Eastern Churches, and Cardinal Oscar Maradiaga from Honduras. Odilo Scherer, archbishop of the huge diocese of Sao Paulo in Brazil and Joao Braz de Aviz, a 65-year-old Brazilian, are also in the frame. Pope John Paul II, a Pole, was the first non-Italian pope since 1523, while Benedict XVI was the first German. Gemma Simmonds, a nun and senior lecturer at the University of London, said that the idea of a developing world pope might be attractive but warned that “prelates from these countries can be extraordinarily authoritarian”. “They can have very, very low opinions of women for example – they come from cultures where women don’t hold positions of authority,” she said.